A cute story that quickly morphs into something dark and twisted. Naomi is back home to enjoy a rare visit with her mother and her best friend, Whitney. Whitney is the current rodeo queen and Naomi loves watching Whitney in all her pageant glory. It takes a dark twist one evening, when someone tries to grab Whitney from the rodeo grounds and then attacks Naomi. She's rescued by Brice Harper and the two quickly make a connection. Unfortunately, that's only the tip of the iceberg and as weekend goes along, other tragedies occur. Brice's feelings for Naomi grow as do hers for him, but she can't help but blame herself for dragging him into her mess. The ending seemed a bit rushed after all the drama leading up to the reveal of the person behind the attacks. I did enjoy the book and can't wait to see where the author takes us next. I didn't know how this book would compare to the first book, however. I was so happy it lived up to my expectations. Brice was just a boy in book one and has grown up to be an amazing man in this book. When he was faced with helping a stranger he didn't think twice. What he didn't know, was by helping Naomi Pierce he would be thrust into a world of drama and corruption within the rodeo circuit. I loved the chemistry between Brice and Naomi. The twists and turns in this book kept me reading on. Such a great addition to this series. 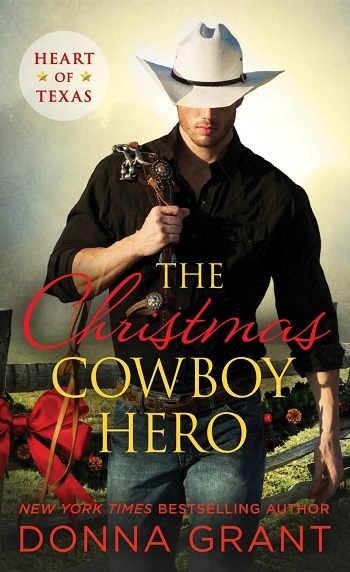 For reviews & more info, check out our The Christmas Cowboy Hero post. 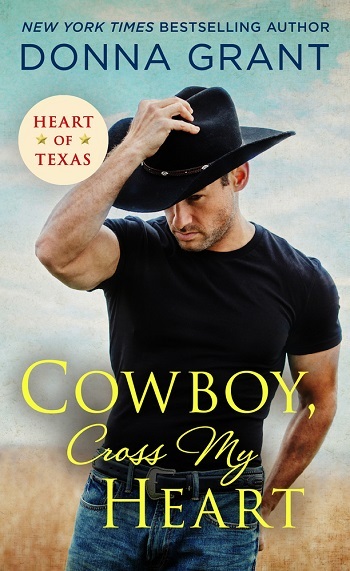 Reviewers on the Wicked Reads Review Team were provided a free copy of Cowboy, Cross My Heart (Heart of Texas #2) by Donna Grant to read and review.